Show the world you love Orange amplifiiers with this comfortable retro logo t-shirt. 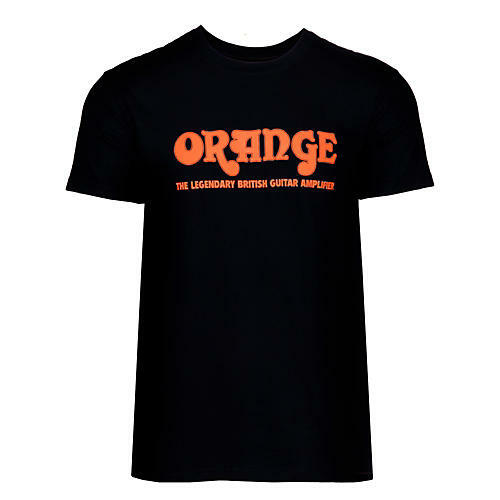 This fitted black men's 100% cotton T-shirt features the Orange Amplification "Orange" emblazoned across the chest with the tagline "The Legendary Birtish Guitar Amplifier" in orange. Give your t-shirt collection a boost like the amps made by the company whose logo is on it. Order now!